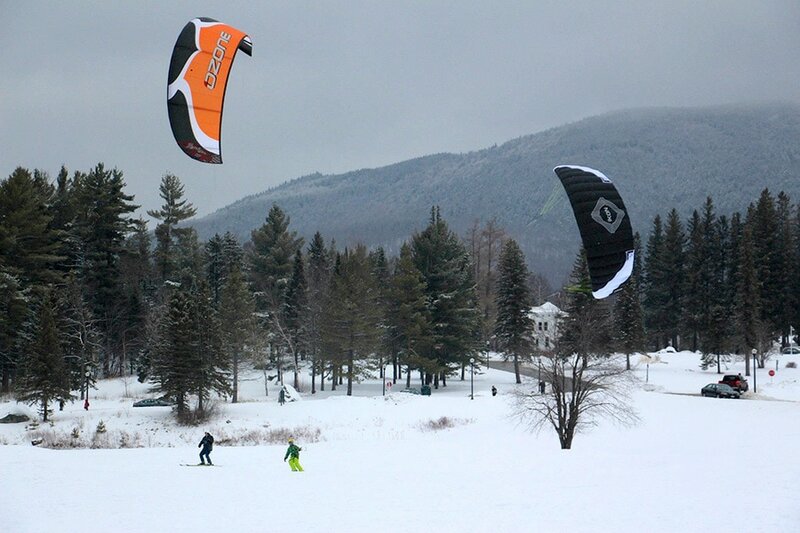 In the Intermediate Snow kite program we start to see the excitement of how to apply the power of the kite and use the power to understand the nature of snow kiting, movement! The Intermediate student will learn more about the site that kiting takes place and how wind and weather affects those sites. There is a greater expectation in the Intermediate course in the students learning and understanding of the kite and its parts, as well as the ability to show and learn excellent control of fixed and de-power four line kites. A new set of skills will also be introduced here in the Intermediate course regarding proper kite rigging/ untangling skills, rescue skills and ground anchors, as well as how and when to use these skills. In this course controlled and smooth flying and applying that power safely is one of many goals!